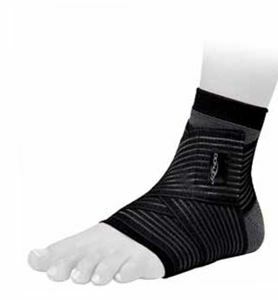 It is best suited for ankle sprains and instability. It can also be used while playing sports for preventing ankle sprains. Strapping Elastic Ankle support is made up of anatomically knitted multi directional elastic fabric. There is an extra elastic strap for additional compression and support. It is latex free and can be worn in either left or right ankle. Available from XS to XXL Size. Size can be measured around the ankle circumference.